Assassin’s Creed: Unity is a big game. Let our guide take you through the streets of revolutionary Paris with maximum efficiency. 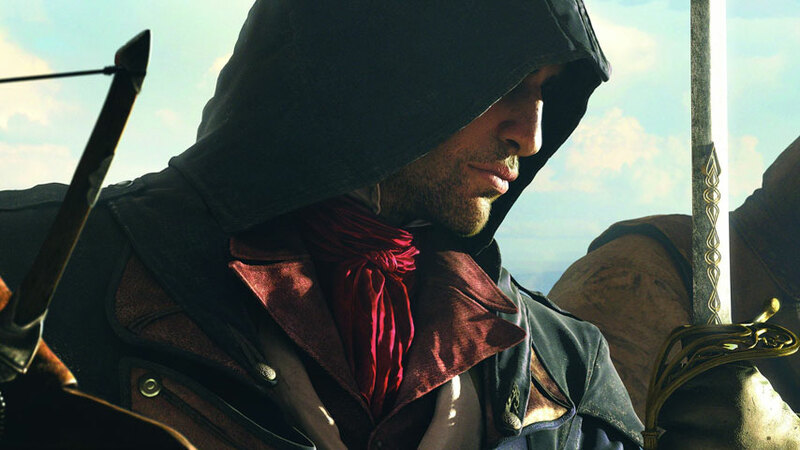 Assassin’s Creed Unity puts you in the role of Arno, a snappy dresser with a penchant for gadgets and throat-cutting. Our hero’s path to becoming a master assassin isn’t an easy one, and Arno’s goals don’t always line up with what the Assassins and Templars are up to in the crowded streets of Paris. You have a chance to make a real difference to a heavily oppressed people, but in typical Assassin’s Creed style things never go precisely as you’d expect. Politics, back-stabbing both literal and metaphorical, and the gunpowder-hot mood of the mob await you. Go forth, Assassin; it’s a revolution. Ubisoft has made some changes to the traditional Assassin’s Creed controls, so even if you’re a veteran you should pay attention to the tutorials or check out the control layout carefully. Of particular note, stealth is now activated with a button press, and there are separate keys for “climb up” and “climb down”. Note that you can also just free-run as normal, and sometimes that’s the better option, as Arno will always prioritise verticality over directional progress when using the specific up or down controls. If you’re determined to 100% the game, you’ll need to replay missions multiple times to collect all the rewards on offer. If you find the guards are proving a bit too much for you, spend some time replaying missions or exploring side-content; there are a ridiculous number of upgrades to unlock, and you may have an easier time of it after you’ve picked up a better weapon and armour. Don’t be afraid to take on high difficulty missions if you’re got at stealth; the difficulty refers to the strength and numbers of troops you’ll encounter, and a good assassin never needs to join open conflict, amirite? Many familiar assassin abilities aren’t available until you’re unlocked them, so check the upgrades menu thoroughly before you embarrass yourself failing a double air assassination attempt before you’re capable of it. You can no longer pick up bodies and hide them, so if you’re clearing out guards be sure to use hiding-spot and cover kills to keep the corpses out of the way of their former colleagues. Returning players will find combat much more challenging; you can no longer do counter-kills or killstreaks, so every enemy has to be taken down with legitimate attacks. On the other hand, perfect parries will be your new best friend. Master them.